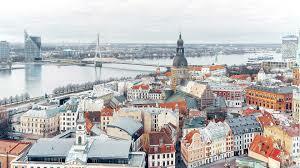 The next roundtable of the ICEE project will take place on 22-23 September 2016 in Riga (Latvia). Policy makers, ICEE partners and representatives of the schools involved in the field trials are invited to participate to discuss what we already know about the impact of entrepreneurship education and to share the interim results of the ICEE Innovation Clusters on National Strategies, Teacher Training, Content and Tools and Assessment. Schools representatives will have the opportunity to network and participate in workshops. Ministry people and guests will be invited to join a combined high level roundtable with the EE-HUB project where policy recommendations will be discussed with a specific focus on Northern Europe. The event will also host the 2nd edition of Entrepreneurial School Awards, a national and European recognition of the schools championing entrepreneurship education.